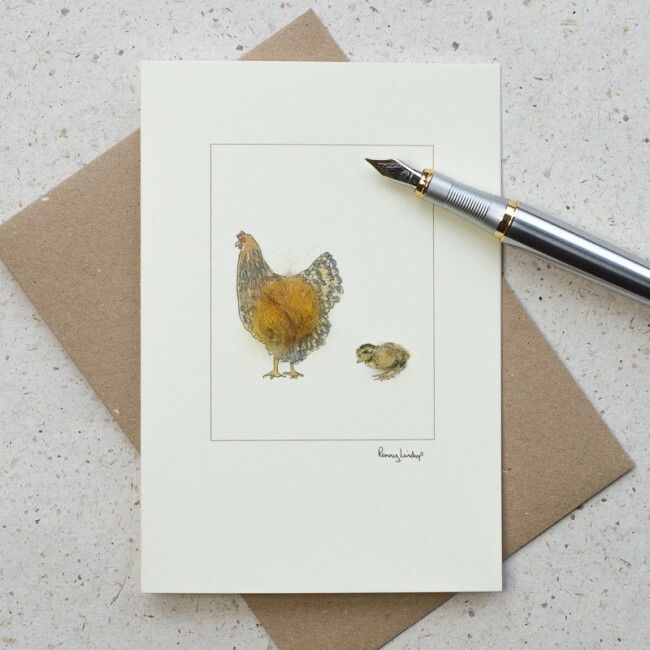 Choose our chicken card with a gold laced Wyandotte hen with her chick for a chicken loving friend. 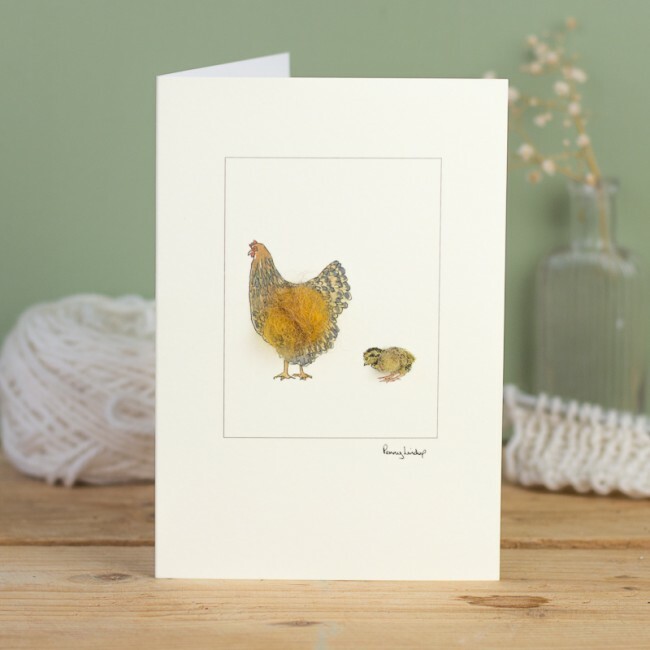 The mother hen and chick are hand finished with fluffy woolly bodies - so adorable! 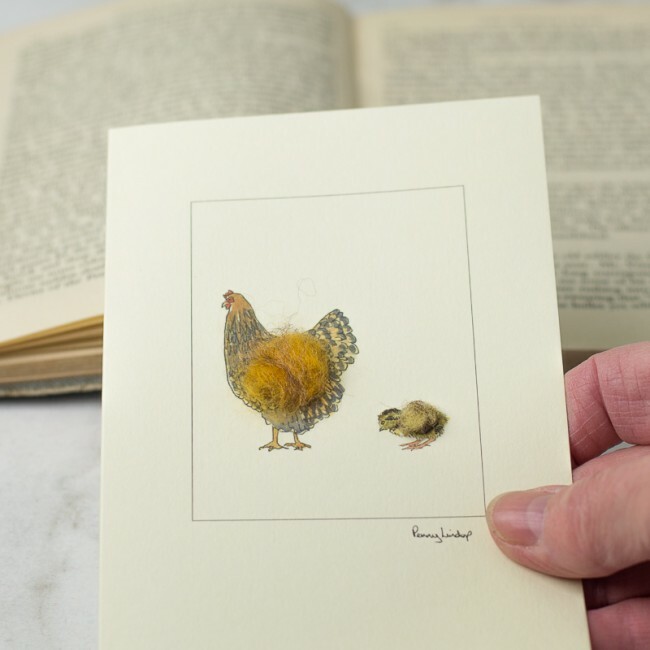 Printed from an original ink and watercolour sketch by Penny Lindop, the hen and chick are given woolly bodies to make this card into a special collectible card for your special friends. 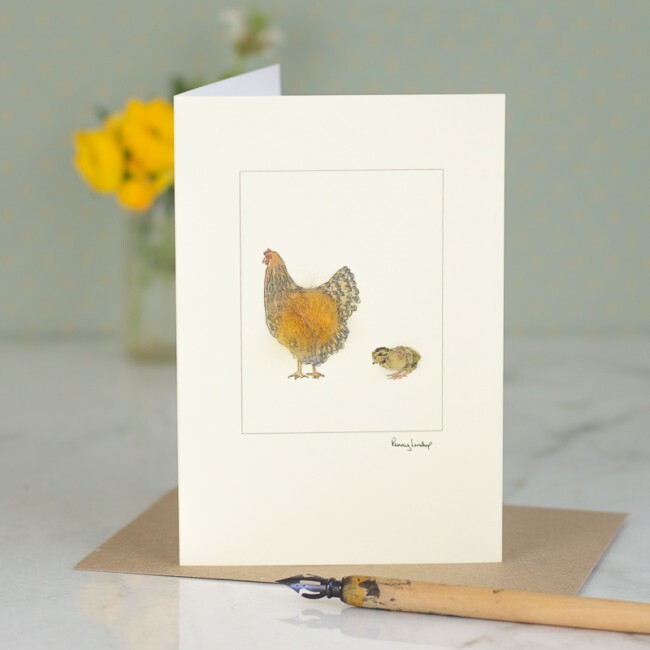 It is a lovely card for anyone who keeps chickens; it's also a perfect Easter card, Mother's Day card and even a rather delightful new baby card. The card is blank inside as you will surely want to write a very personal message in such a special card. Supplied with a kraft brown envelope made from recycled paper. The card and envelope are supplied in a clear cellophane bag for its protection. Please recycle this responsibly. This card looks great mounted in a 4" x 6" photo frame. It makes a lovely little picture and reminder for the recipient. It is printed on a quality textured board from an FSC acredited source.